Nowadays when science and technology are flying, when cultures converge and there is a crisis in values, even the word ‘death’ is avoided and anything reminiscent of it is ignored and discarded. Modern man views death as something negative and as a loss; we usually say for the departed: ‘We’ve lost him’. Whoever does not have the proper knowledge about this issue of death, he is trying to ignore it. Thus he lives an essentially neurotic life, drained of its true meaning. The arrest of cardiac function and or the death of the brain—namely the biological, clinical death—is not a natural state for man and it is not a condition which is in accordance with God’s pleasure. God made not death (Wisdom of Solomon 1, 13). Death intruded into human nature and acts as a parasite. Death entered the world through the forefathers’ sin. It is not possible that evil originated from God, since God is good. When He created man, He did not make him mortal. Death appeared after the sin was committed. For in the day that you eat of it (of the fruit from the tree) you shall surely die (Gen. 2, 17) Indeed, says Paul the Apostle: just as sin came into the world through one man, and death through sin, and so death spread to all men because all sinned (Romans 5, 12). That is, death as the result of the forefathers’ sin encroached into human nature and thereafter to the rest of the creation. The Lord through His ineffable providence fended so that man’s time of death remains unknown to him. According to Orthodox Theology, if man knew the time he was going to die he would not stop sinning, disregarding virtue. The fact that the time of one’s death is unknown keeps him vigilant and ready. Therefore, stay awake, for you do not know on what day your Lord is coming (Matthew 24, 42), namely either during your death or during His Second Coming. However, this does not mean that the Lord takes pleasure when sudden death occurs. There is a prayer used during our Church services in which we beg the Lord to protect us from sudden death among other perils. “Again we pray that this sacred church and every church, city, town, and every country may be preserved from famine, pestilence, earthquake, flood, fire, the sword, the invasion of aliens, civil war and sudden death” (prayer from Midnight Office ). The Church prays not only for its active members, the faithful, but for the entire world and its prospective members. As a loving mother, she turns its attention and her affection to all her children throughout the world in order to protect them from all evil and grant them every goodness and blessing. For this reason the Church prays not just for all orthodox but also for “peace throughout the world…for those who travel by land, by sea, and by air, the sick, the sufferin, the captives, and their salvation”. Sudden death for the non-believer, the atheist and the one who does not repent, becomes a horrid event with terrible consequences since the time gifted to him by the Lord was not utilized. He did not adopt a positive stance in face of the Lord, against his own self and the world. This is attested by the fact that he did not repent and did not live a life, mindful of the Lord. Thus, his communion with the Lord, his participation in the eternal, divine bliss becomes questionable after his death. The previously mentioned supplication to the Lord to protect us from sudden death refers precisely to such a person. 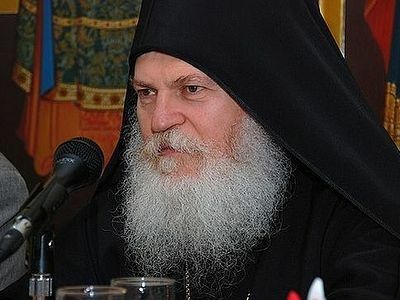 However, the faithful, the one who practices a true, orthodox spiritual life, cannot be spiritually harmed by sudden death, since it becomes irrelevant to him. The higher his spiritual state the less afraid of death he is; we would even say that such a person rather desires the advent of death. This is not because he hates this life or views his body as a prison and wishes to be rid of it like the Platonist philosophers believed, but because the Christian loves life and desires his communion with the true Life, who is Christ Himself. Thus he professes along with Paul the Apostle: to me to live is Christ, and to die is gain. If I am to live in the flesh, that means fruitful labor for me. Yet which I shall choose I cannot tell. I am hard pressed between the two. My desire is to depart and be with Christ, for that is far better (Philippians 1, 21-23). 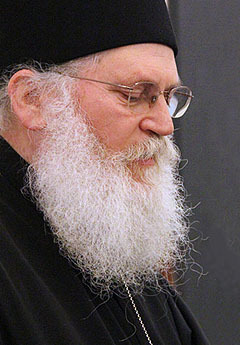 Similarly, blessed Elder Joseph, the Hesychast, exhibiting this fervor, this divine Eros for Christ, this desire to enjoy the true life, used to say: “Death is a mighty, terrible thing for many people; for me death is a repose, something very sweet” ( Elder Joseph the Hesychast: An expression of monastic experience). Thus he used to advocate: “Blessed is he who remembers death day and night and prepares to greet him. Death becomes a pleasurable event to those who expect him but it becomes bitter and tough (as sudden death) to those who do not expect him”. St Silouan the Athonite presents a very nice instance of sudden death. Let us suppose, he says, that there is a King who lives in sin, in opulence and has acquired all the riches of the earth. If somebody were to tell him that he was going to die while sitting on his throne surrounded by princes and all his escorts, enjoying a feast in all his glorious might, he would become upset and tremble in fear. If however, one were to tell the same thing to a pauper, who was loaded with God’s love, he would peacefully say: “Let the Lord’s will be done. Praise be to the Lord for remembering me and for wishing to take me to the place where the robber entered first”. Nevertheless, it is best if man knew the hour of his death so that he could pray and hand his soul over while praying, as it happens with the righteous, pious Elders. 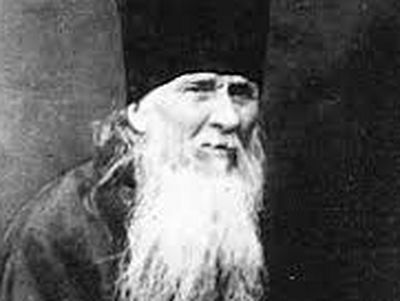 Thus blessed Elder Joseph, the Hesychast, knew beforehand- had been informed by the Most Holy Lady- that he would repose on the day of her Dormition, on the 15th of August. But also many saints of our Church had been informed of this event, like St Simon, the pole dweller, St Gregory Palamas and others. St Theognostos says that no matter how many virtues or charismas one has acquired “he must not pray to be absolved of his flesh without being previously informed about his death; but indeed he must pray extensively for this” (St Theognostos: Filokalia, vol. 2). Sometimes the Lord allows the onslaught of sudden death to wipe out numerous sins. In the book of Gerontinko it is said that when a monk committed fornication, two of his former co-ascetics, who had already died, begged the Lord to allow a lion to devour him in order to wipe out his sin in such a painful way and have him ranked among them and those saved. The prescient, blessed Elder Porfyrios used to say that scientists have come very close to the discovery of the cure for cancer, but the Lord does not give His permission since Paradise is filled with cancer-patients. Pain is intertwined with living. Occasionally, we find ourselves cracking from the many, fierce hardships that befall us, especially if we do not have enough faith. For instance, if we know that somebody will die soon from an incurable disease we find it hard to accept it, despite having prepared for it psychologically. How much more difficult would it be to remain calm and peaceful in the event of a young person suddenly dying? Death is an unnatural, perverted and abhorrent event. It will always be man’s last enemy. From ancient times until recently, man would scrutinize death with intense existential interest. Nowadays however, despite everyday viewing through the media many collective or violent deaths in wars, accidents or crimes, man has lost his existential attitude towards death and thinks it is something natural. 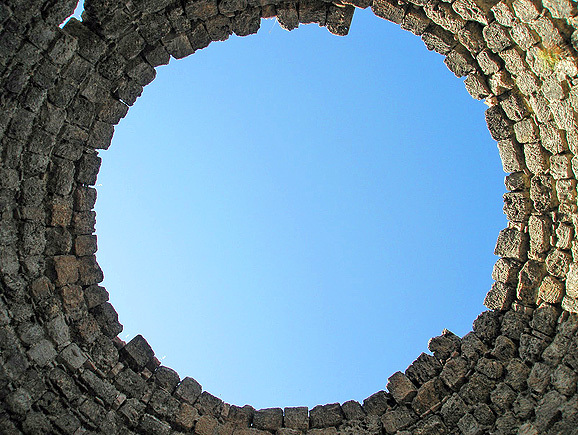 When a Christian speaks about death, he is not being pessimistic or compromises in a fatalistic way; neither does he regard it as something natural; He considers death as an enemy he must win over through Christ. The last enemy that shall be destroyed is death (A Corinthians 15, 26). The Word was made flesh (John 1, 14) that through death he might destroy the one who has the power of death, that is, the devil (Hebrews 2, 14). God was incarnated to abolish death and sin and to beat the devil. Christ took over a mortal flesh subjected to passions in order to win over death with His own flesh. Through His crucifixion and His Resurrection He beat death and gave man the ability to also thrash it, after being united with Him. Thus, after the incarnation of Word God, death has changed its name and its direction. It is no longer called ‘death’ but ‘repose’ and becomes the bridge towards eternal life. The righteous one passes from death to life (John 5, 24). St Nicodemus the Hagiorite advises us not to forget that “death shows up like an unexpected thief and we do not know how or when he will visit us. He may appear today, at this hour, at this very moment and you, who woke up feeling fine, will not last until the evening, while you, who have reached the evening, may not wake up …Therefore, my brother, take heed and tell yourself: “If I die suddenly, what will become of the wretched old me? What would be my benefit even if I enjoy all the pleasures of the world? ... ‘Get thee behind me, Satan and evil thought! I do not wish to obey you and commit a sin’” (St Nicodemus, the Hagiorite: Exomologitarion). According to the Fathers and the experience of our Church our reposed brothers—especially those who have departed suddenly—benefit a great deal from the memorial services and the customary forty liturgies we offer them, as well as from our prayers, almsgiving and our own righteous way of living which is reflected on their souls as light. In concluding our short presentation in which we have briefly touched upon some aspects of the issue of sudden death from a theologian point of view, we would also like to stress that death, namely the separation of the soul from the body, constitutes a mystery on which only the Ruler of life and death has a say. It is up to the Lord’s unanswered judgments whether we will die a sudden death or not; but we must firmly believe and totally assimilate with all our might the fact that through the Resurrected Christ, death has no more dominion (Romans 6, 9) and that the gift of God is eternal life (Romans 6, 23). On June 27/July 10, the Church celebrates the uncovering of the relics of St. Ambrose of Optina. We offer to our readers a letter from the forthcoming book by Pokrov Publications, St. Ambrose of Optina. Letters to Laymen.